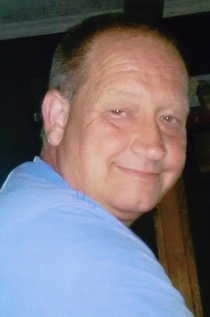 Steven Paul Walker, age 51 of Burkesville, KY, passed away on Monday, February 26, 2018 at his home. Funeral service will be at 1pmCT, Saturday, March 03, 2018 at Ballou & Stotts Funeral Home, 304 N. Main Street, Burkesville, KY with burial in the Story Cemetery at Byrdstown, TN. The family requests visitation on Saturday morning from 11amCT until the service time at 1pmCT, at Ballou & Stotts Funeral Home. He was born on January 17, 1967. He was the son of Betty Sue Wilson Walker, who survives, and the late Paul Walker. He died Monday, February 26, 2018, in Burkesville, Cumberland County, KY, at the age of 51 years, one month, and nine days. In addition to his father he was preceded in death by one daughter Amanda Walker Moreland; one granddaughter McKenzie Moreland, and son-in-law, David Moreland. 2018-03-03 - 304 N Main Street, Burkesville, KY - Photo from Ballou & Stotts Funeral Home.